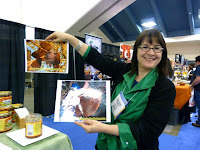 Hidden in the back of a massive exhibit hall at the Fancy Food Show in San Francisco, were a few reasons why I created this Chocolate Banquet site. 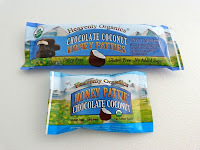 It was here that I had the opportunity to connect with the good people at Heavenly Organics (Fairfield, IA) to hear their story about how they help honor and support sustainable honey farming in rural India; and also Kelapo Coconut. I imagined a conversation with new or potential honey suppliers, or harvesters, in India that might go as follows: We will buy from you if you don't burn down the tree containing the bee hives; but rather just carefully slice off the top third of the honeycomb mass (during times of day or night when the bees may be less active), so that the queen bee remains in the hive and honey production will continue. Every chocolate has a story. And, it's great to hear about "everyone wins" practices from half way around the world. 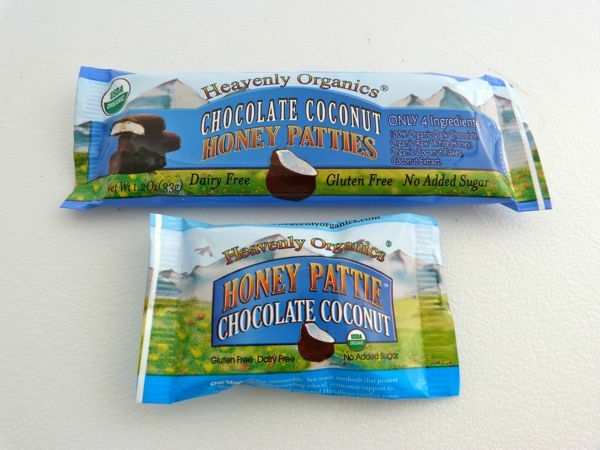 The Heavenly Organics Honey Pattie line comes in different flavors. (I previously tried mint and almond flavors.) Today, I sampled a small, round Chocolate Coconut pattie, similar in appearance to a dark chocolate covered after-dinner mint with a honey-flavored (no added sugar) coconut center. This dairy free, gluten free, organic chocolate came packaged in a single serving packet size, and was also available in a 1.2 oz. (33 g.) bar format. 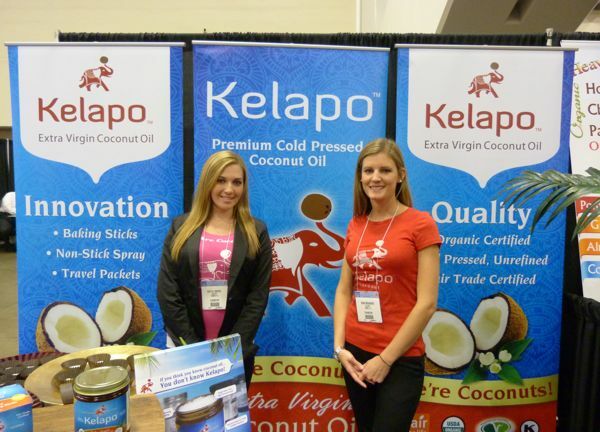 Happily, the next booth over from Heavenly Organics at the show, was Kelapo Coconut/Beneficial Blends (Tampa, FL). I've enjoyed experimenting with adding their coconut sugar (and coconut oil), to make different chocolate truffles and cakes, with good results. 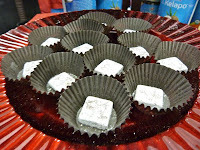 On display in their booth: some chocolate truffles, with a hint of coconut and peppermint with a very nice smooth melt, that had been specially created for the show as an example of treats that can be made with their product. 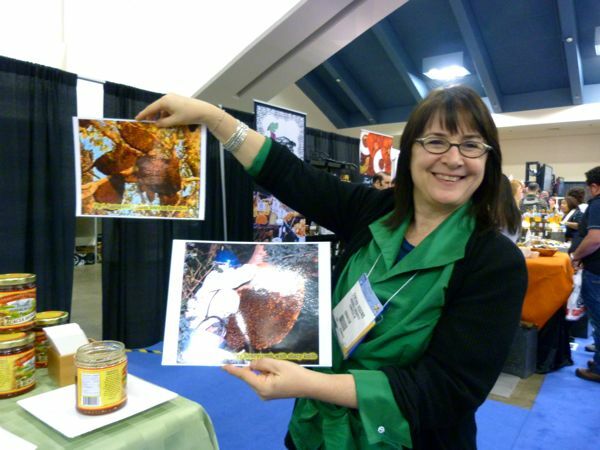 Thank you to the chocolatier who made these for a special cause, and shared them here. 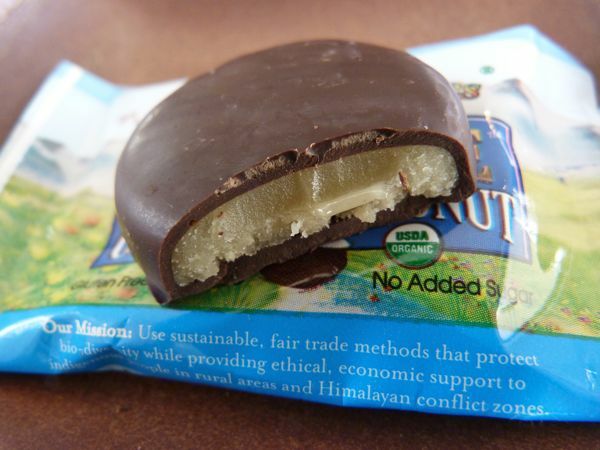 Today was Day #8 of Chocolate and Coconut Theme Week.